Our School Counselling Service offers a range of programs for primary and secondary students and their families, to identify problems and intervene early to improve student wellbeing. We provide individual counselling support for students and clinical assessments to guide educational planning. We employ psychologists with specialisations in educational, clinical and counselling psychology and place them within a school community. Teachers, students and families within the school can refer students to a counsellor. School counselling is private communication between a counsellor and a student. Students discuss their social and emotional issues in a safe, non-judgemental and non-threatening environment. Their counsellor assists them to develop strategies for dealing with issues of concern to the student – the issues might be getting in the way of their educational participation, might be impacting on their friendships and other relationships, might be causing them stress or anxiety or may be resulting in depression, eating disorders, behavioural problems or poor sleep. 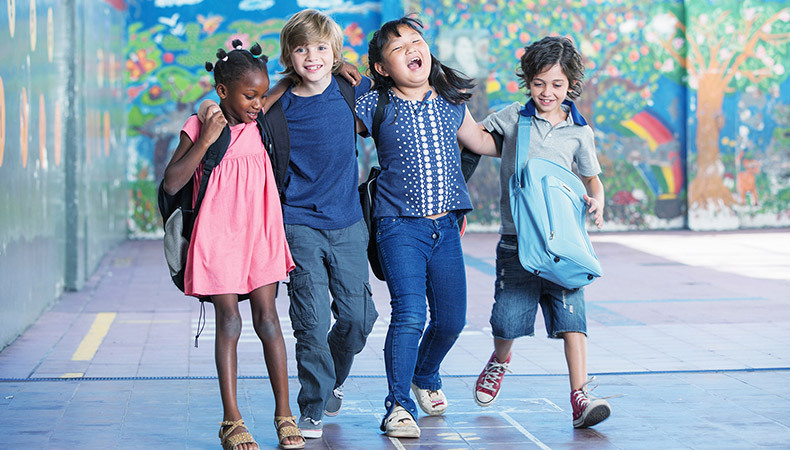 Student counselling helps children to better manage social and emotional issues, and supports improved mental health and reduces the likelihood of them engaging in risk taking behaviour. It supports children to develop ways to stay happy, healthy and improve their experience of school. Having a student counsellor in your school can also help school communities better respond to sometimes challenging issues such as self-harm, bullying, depression, anxiety and risky behaviours. Student Counselling is purchased by schools across Melbourne, Geelong and Gippsland. All students within that school community are eligible for the service. These services are available to all schools – our counsellors are clinically trained psychologists who work with students from any faith. Fees are not charged to individual students or their families. School purchase of this service covers all ongoing costs. These assessments evaluate a child’s verbal and non-verbal skills, which can affect their learning. Assessments are conducted by trained and qualified psychologists and include a comprehensive report of the outcomes of the assessment. The cognitive assessments that CatholicCare offers include the most recent Wechsler Intelligence Scales for Children (WISC-V and WPPSI-IV), and adaptive assessment using the Vineland Adaptive Behaviour Scales (Vineland-3) is also available when appropriate. Other investigative tools such as the Child Behaviour Checklist can be offered if required to screen for behavioural concerns. The assessment report can assist with planning for educational and behavioural needs, and can be used to apply for funding for literacy, numeracy and special learning support for students. The service includes an assessment which is conducted on site at the school, a comprehensive written report, and a verbal feedback session for teachers and parents. Parents and schools can request a cognitive assessment for a child at any time. A fee is charged for this service. Assessment cost is dependent on whether schools have a School Counselling contract with CatholicCare. For more information you can view the cognitive assessments flyer on our Publications page.